The Dual Black Dragon Daggers are fearsome looking weapons that resemble the blades of a ninja master. Mounted upon their wooden plaque, these deadly dragon blades are double-bladed fantasy weapons of destruction that you need! The bodies of these decorative daggers are made from cast metal in the shape of serpentine dragons with bright red eyes. The dark stainless-steel blades are long and curving, like dark wings, and have holes cut out of them to reduce blade weight. 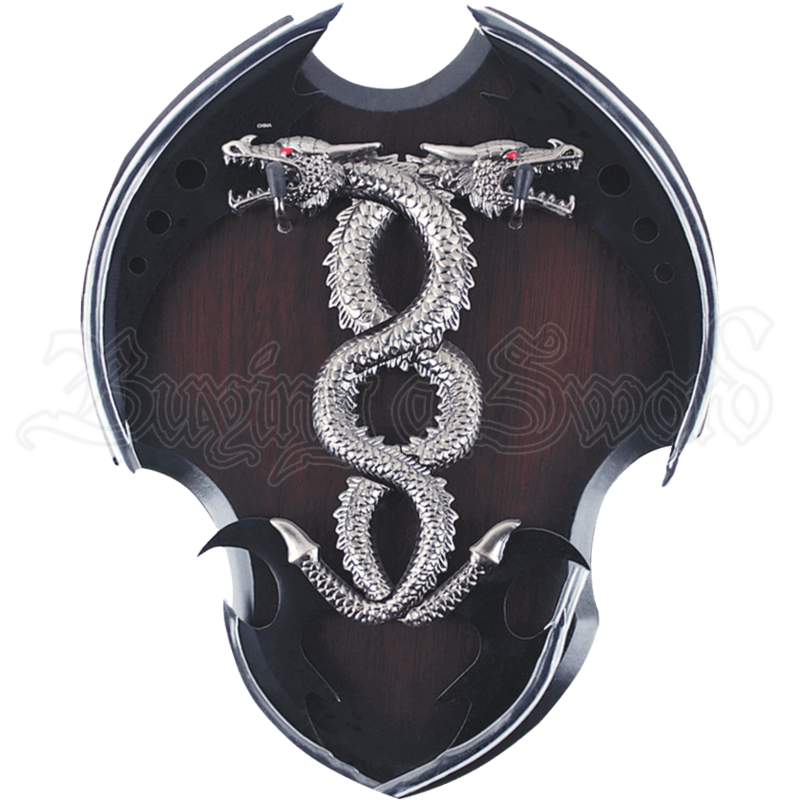 A much smaller, flame-shaped blade is located on each of the dragons tails, creating a wide cutting arc from one end of the daggers to the other. These weapons come with a wall display plaque made from dark wood with metal hooks to hold the blades in place, although the choice to mount them there is entirely up to you! 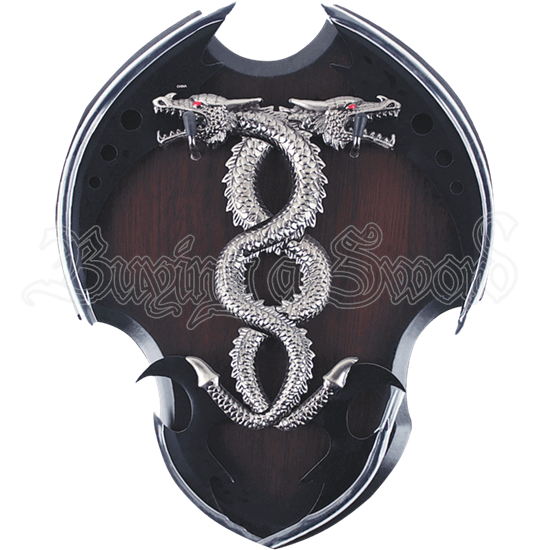 Decorate your home with these deadly looking dragon daggers, or give them to a friend or loved one as a special gift!